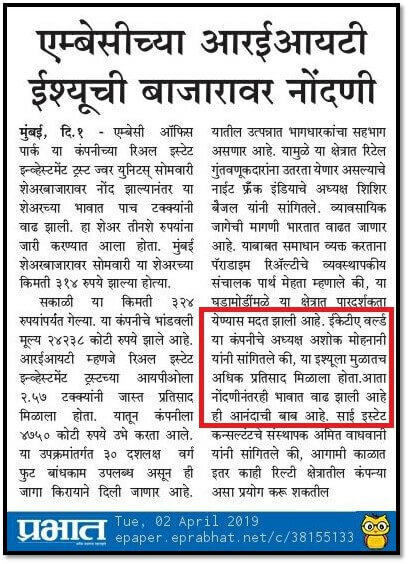 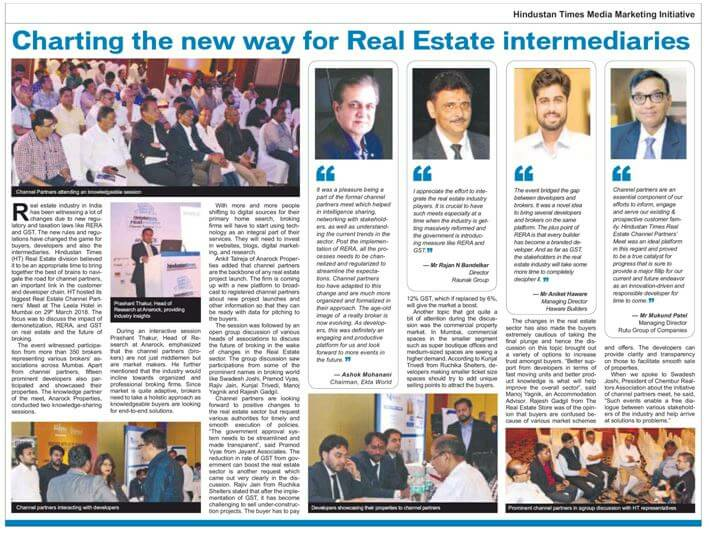 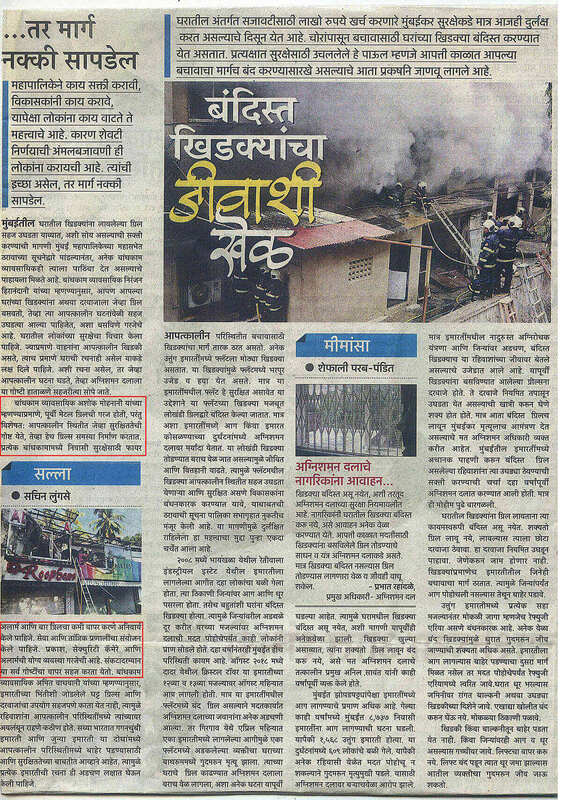 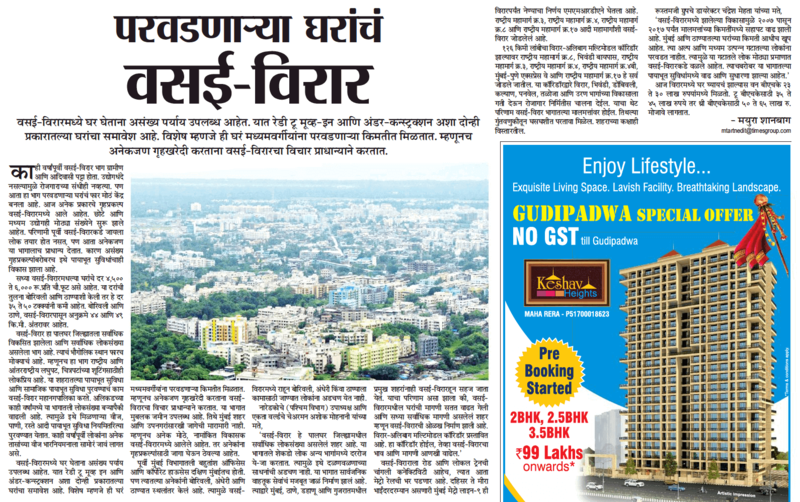 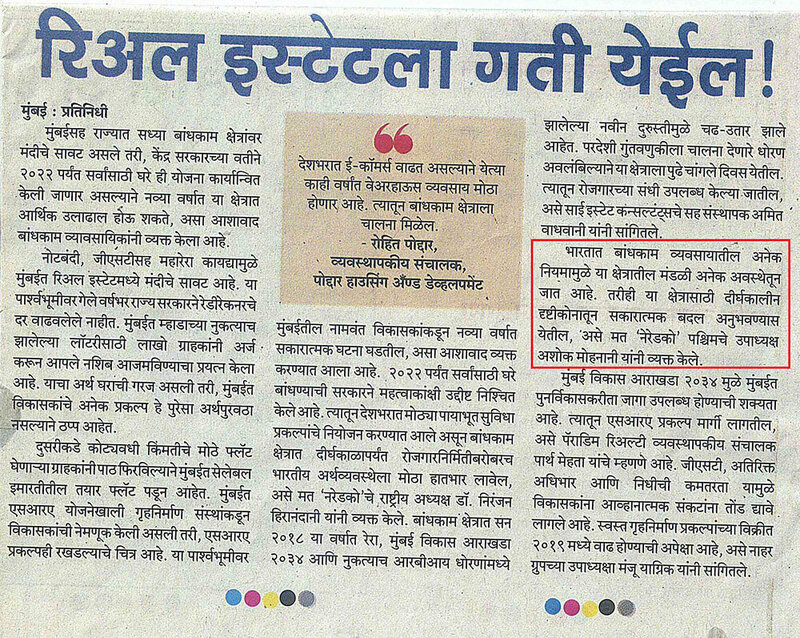 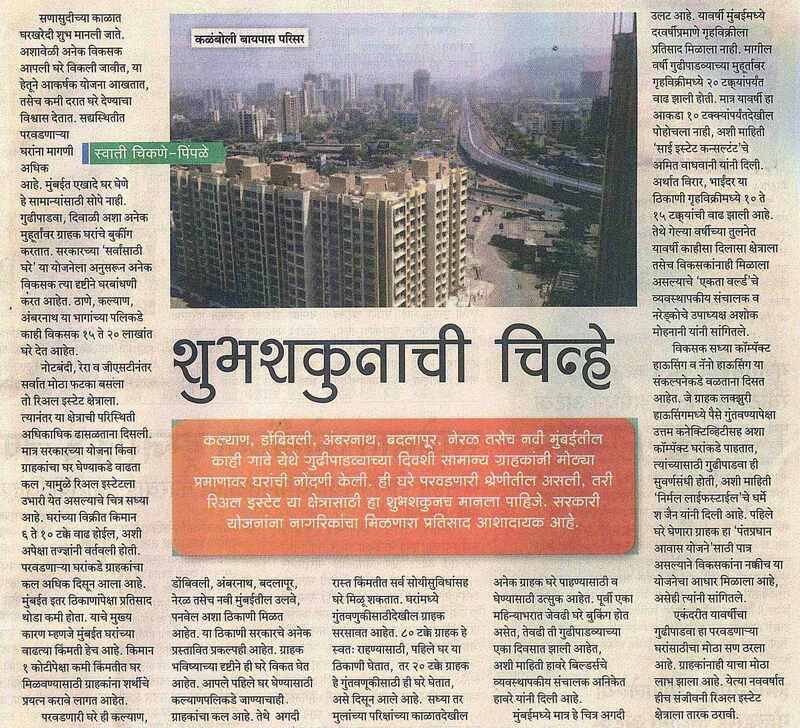 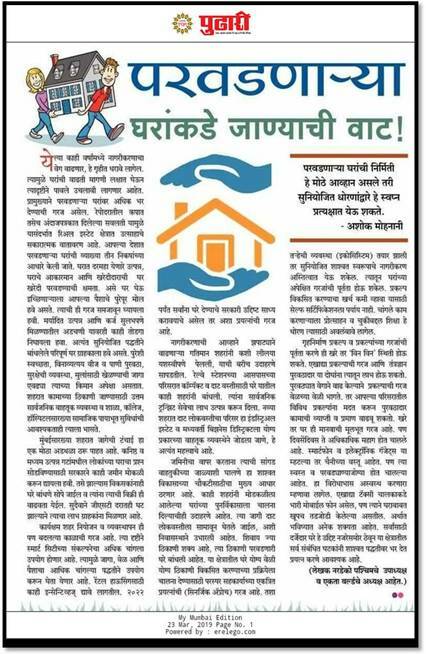 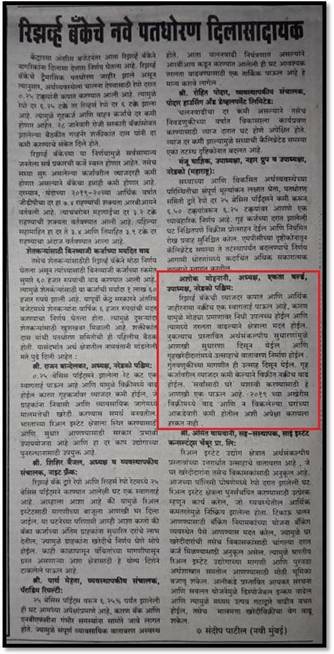 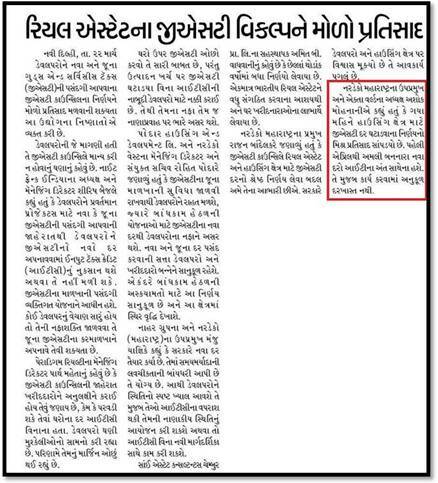 The coverage appeared in Maharashtra Times on the Virar profiling story along with the inputs of Mr. Ashok Mohanani. 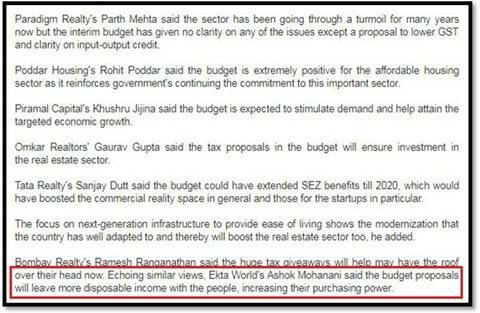 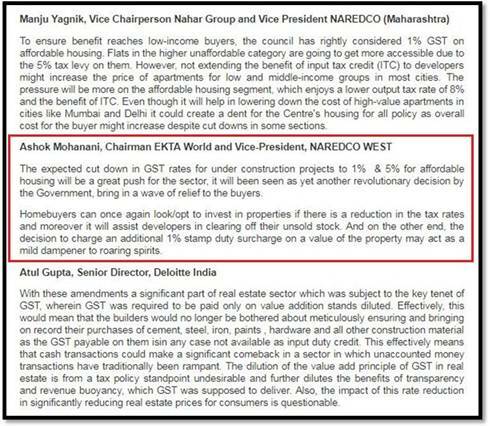 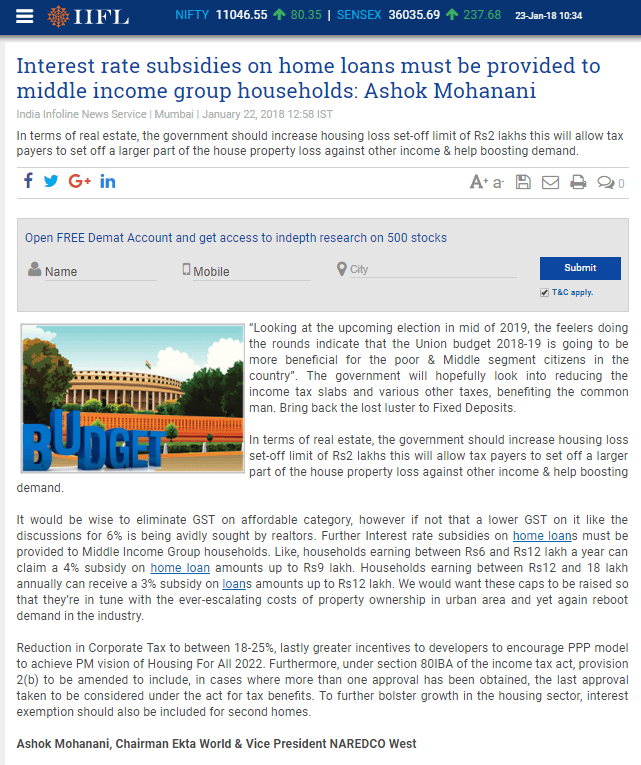 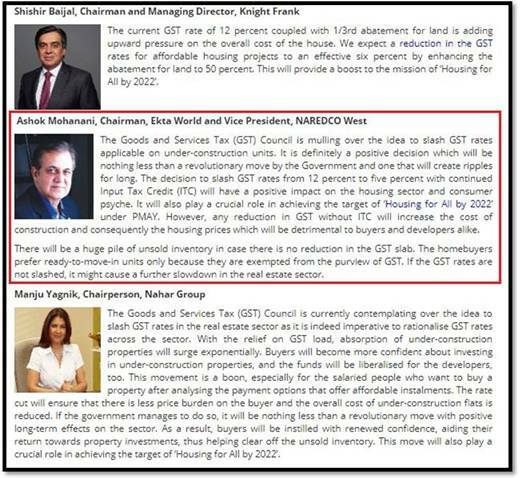 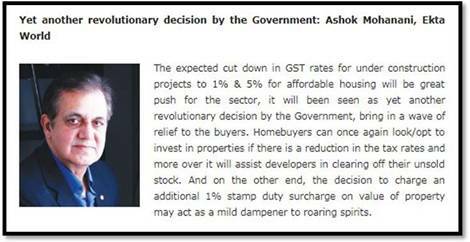 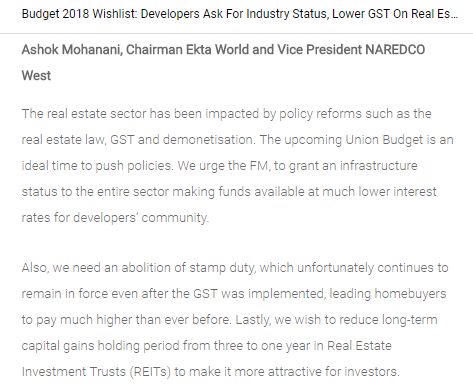 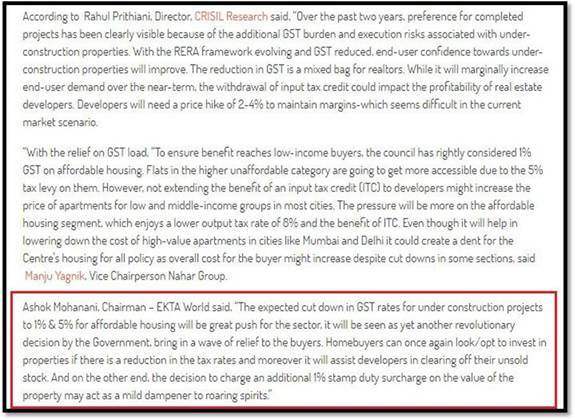 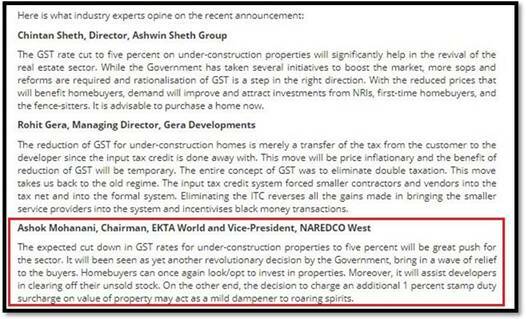 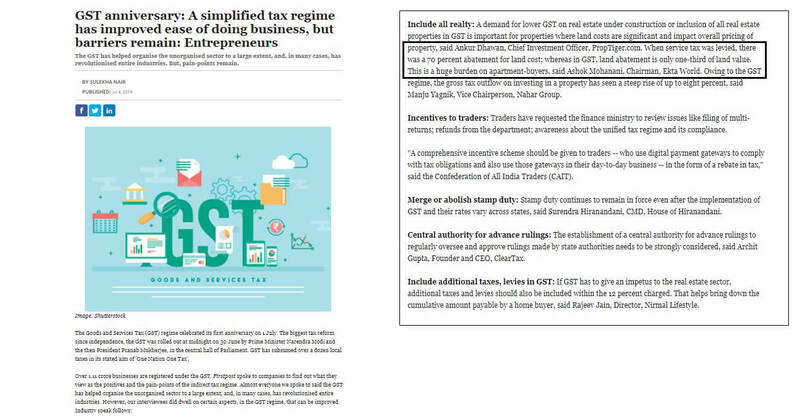 Reduction in GST slab for under-construction properties - A dream or reality? 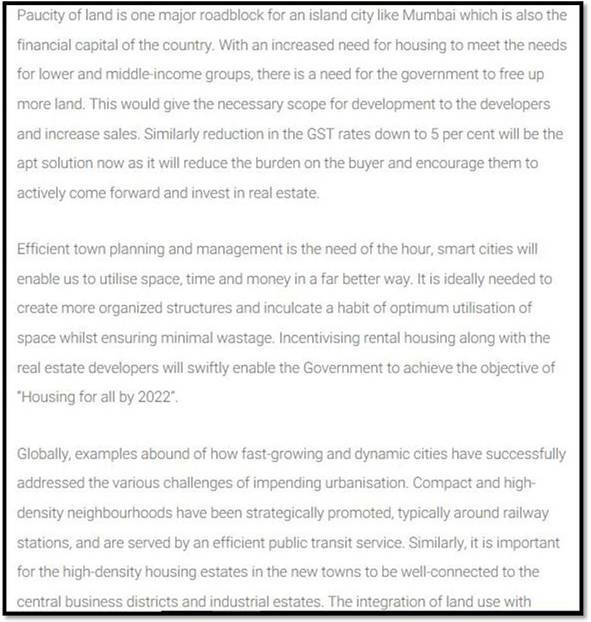 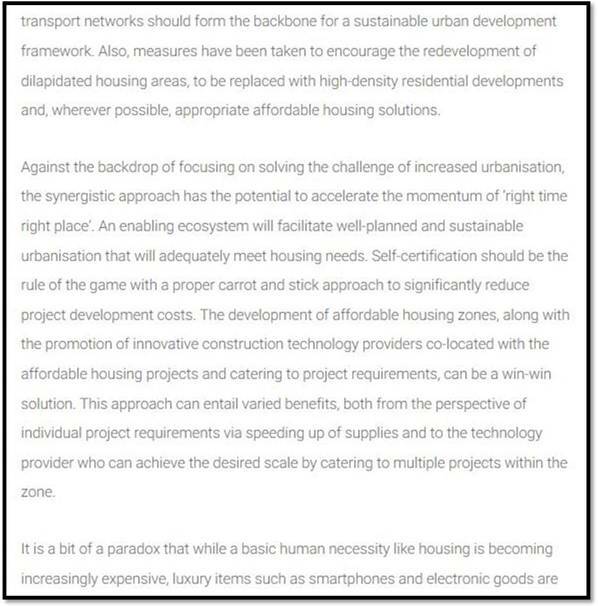 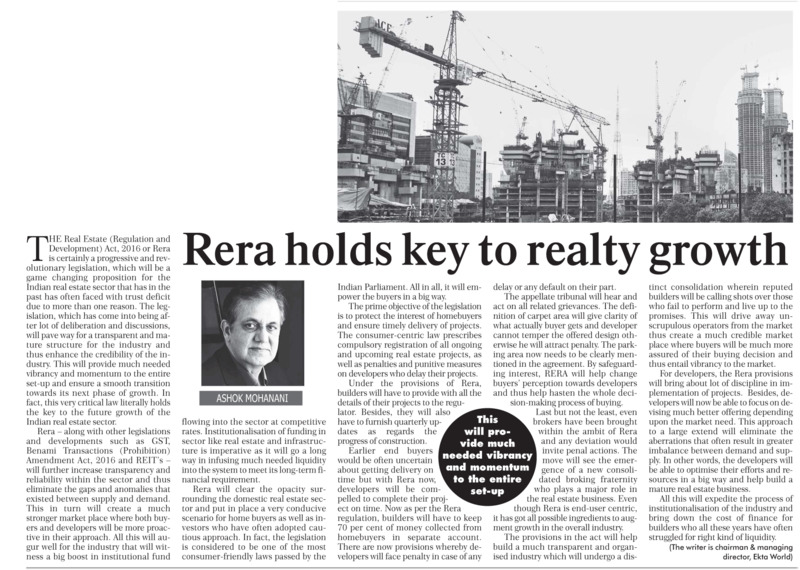 Why GIS technology is important for real estate sector? 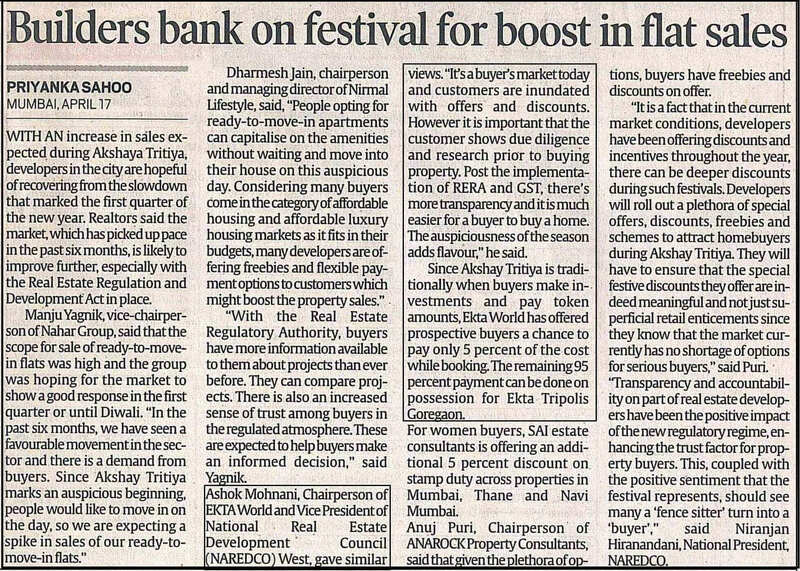 Builders bank on festival for boost in flat sales. 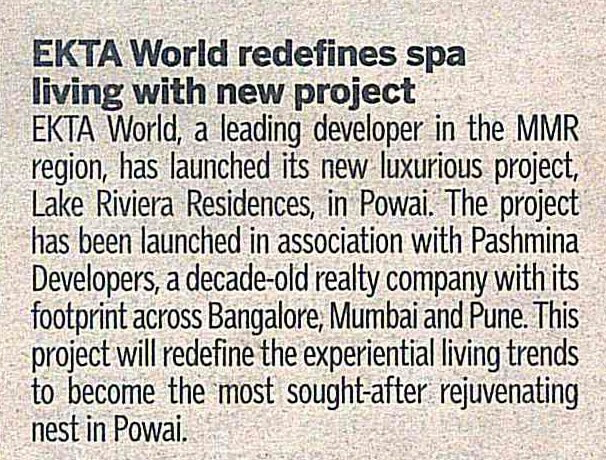 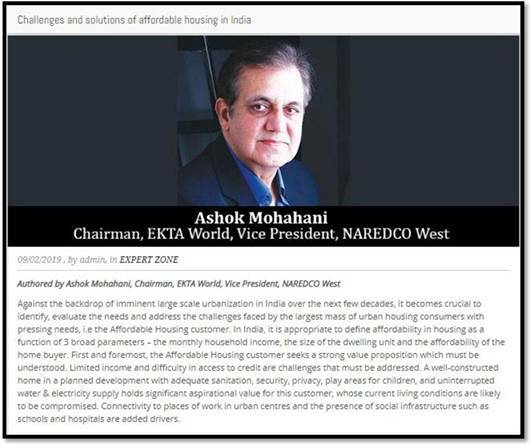 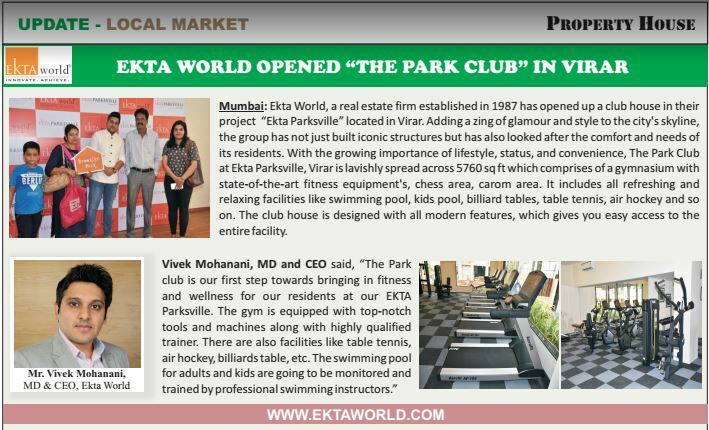 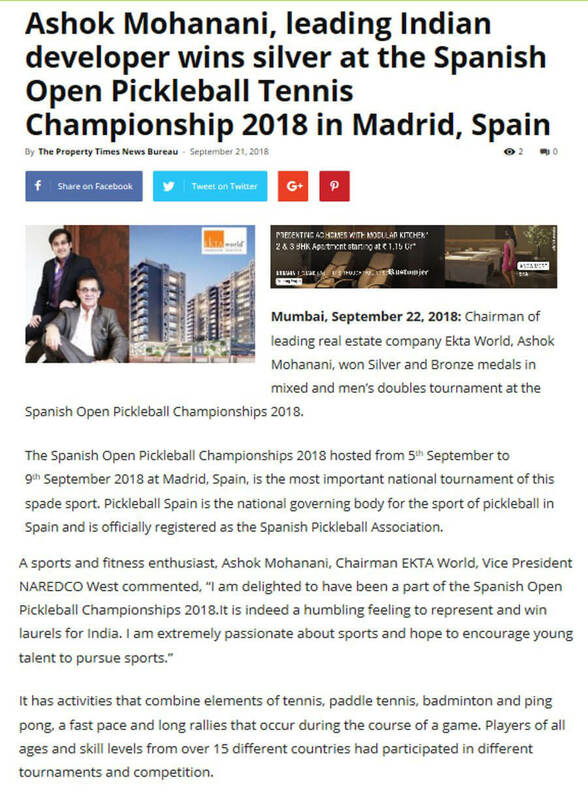 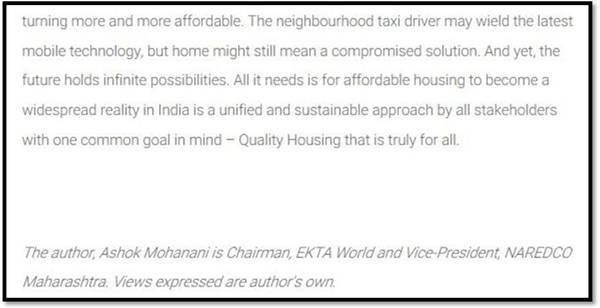 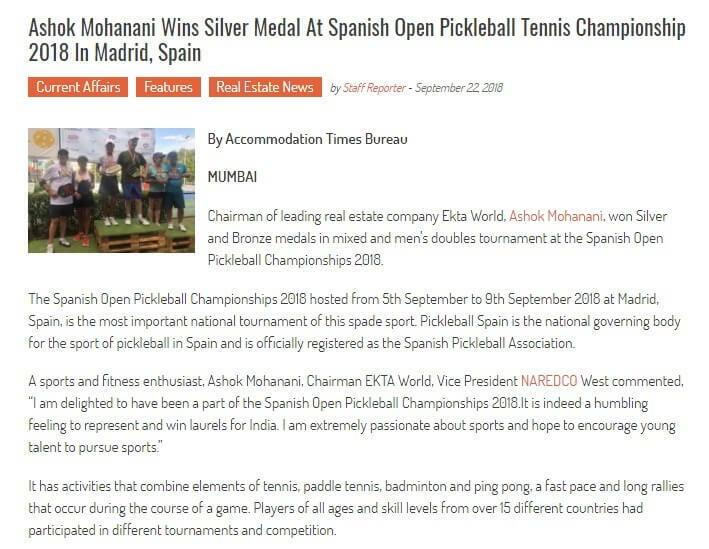 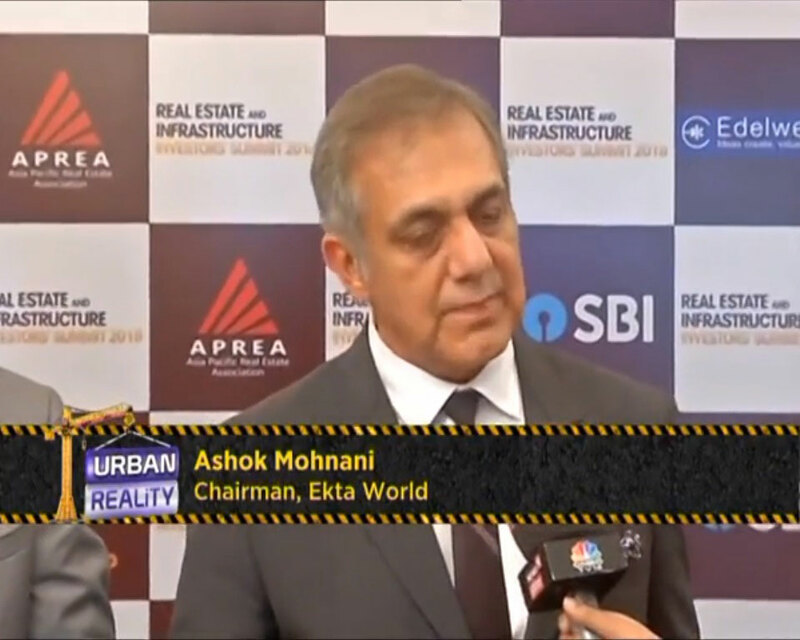 Mr.Vivek Mohanani- Managing Director & CEO , Ekta World speaks about the award winning luxury project- Ekta Greenville, Nashik which ensures the perfect union of modern amenities with natural beauty. 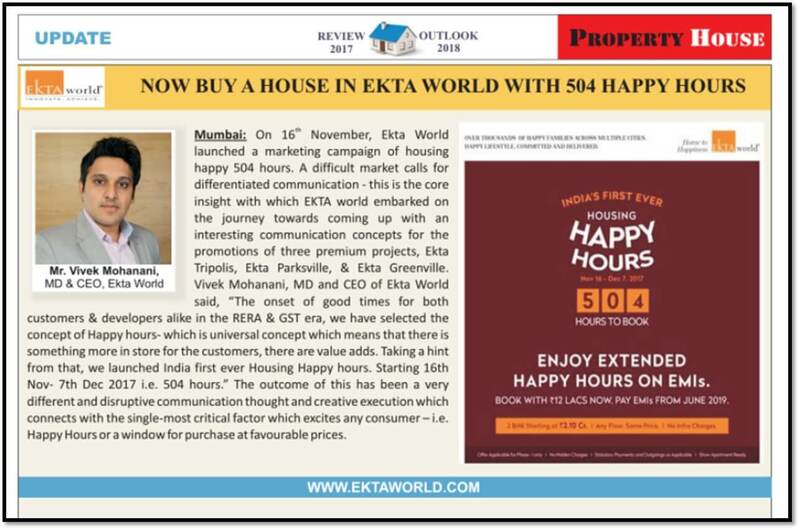 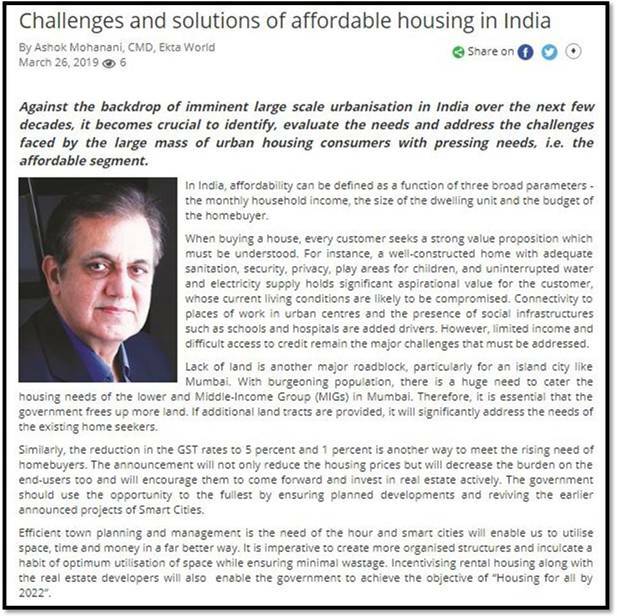 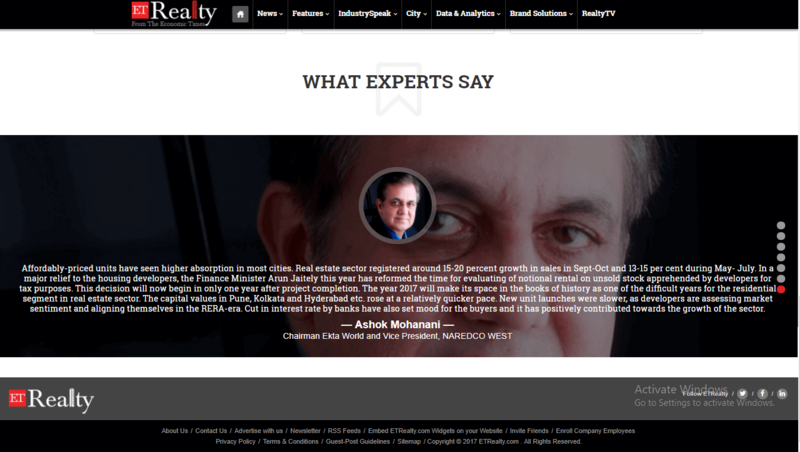 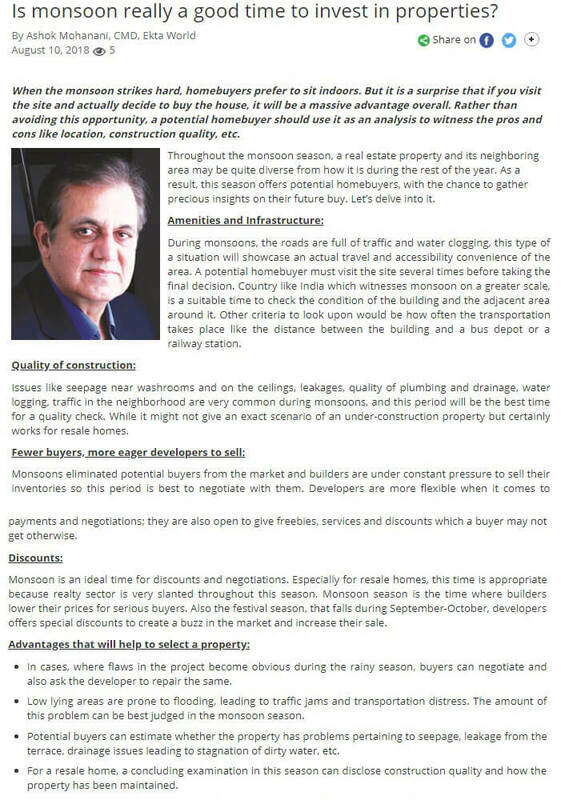 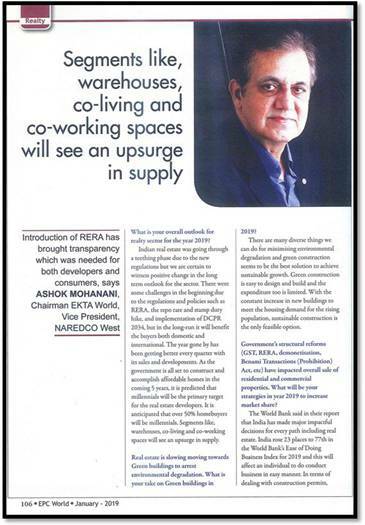 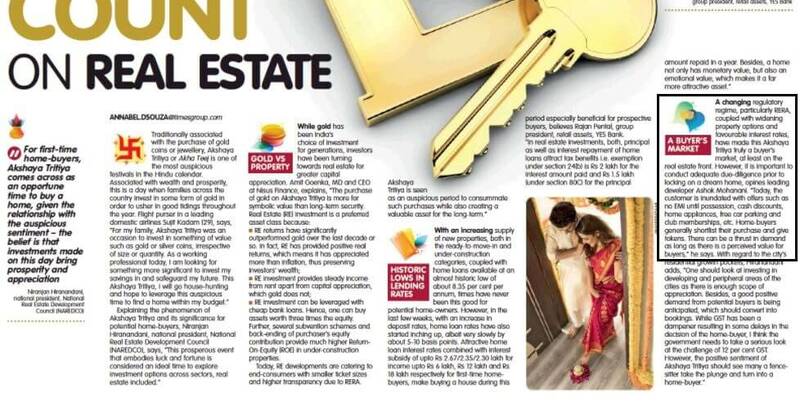 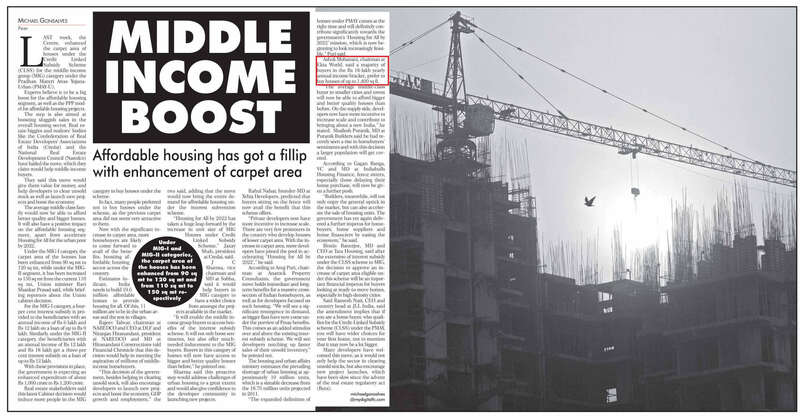 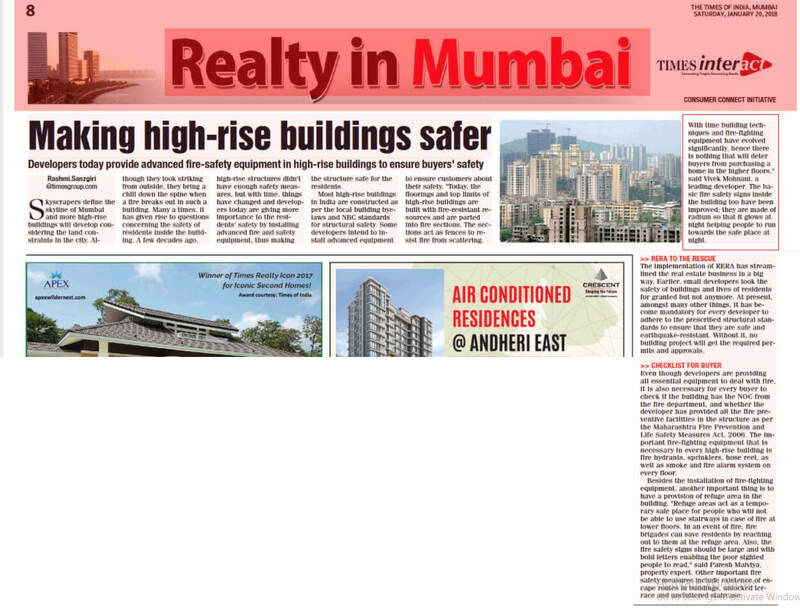 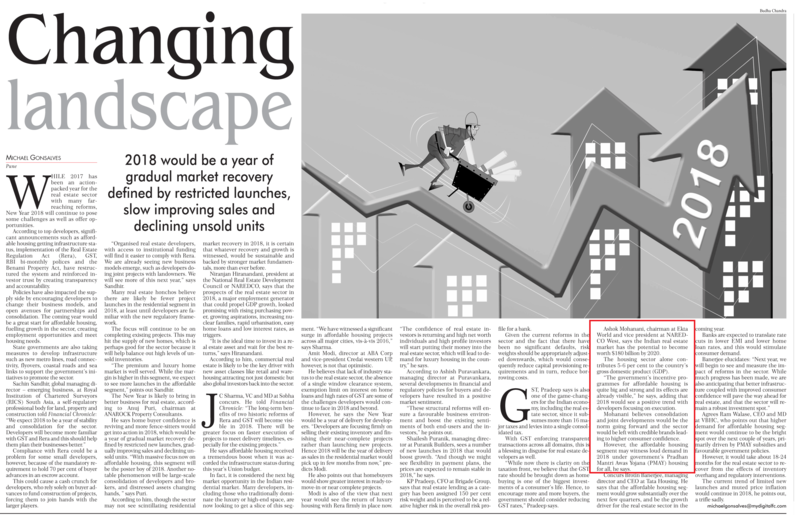 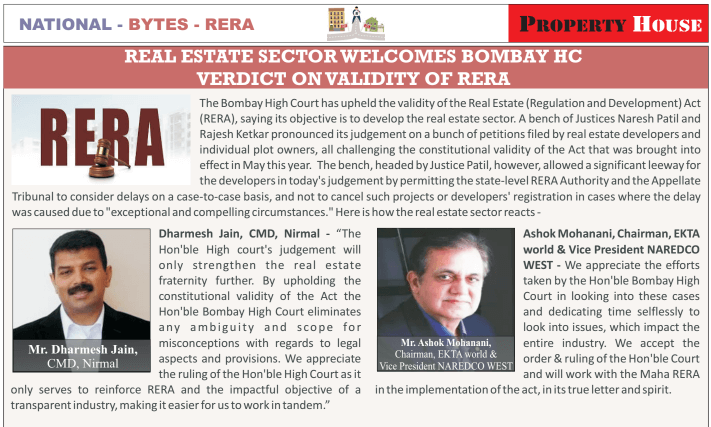 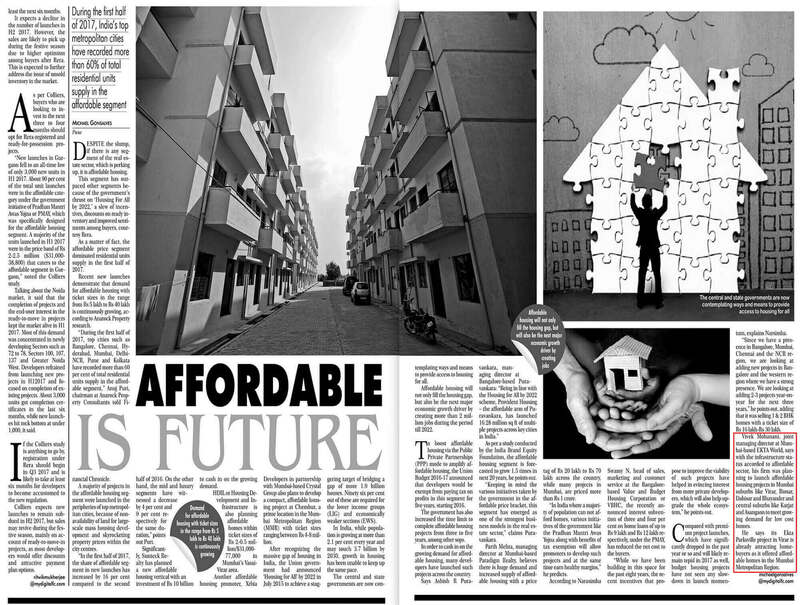 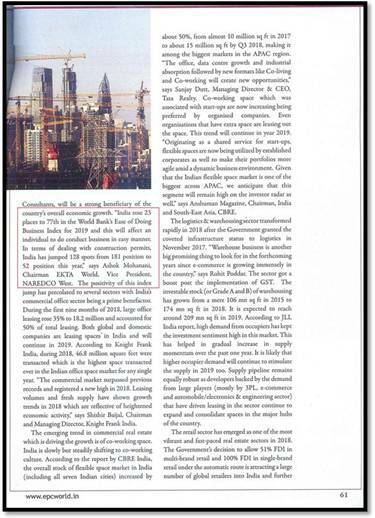 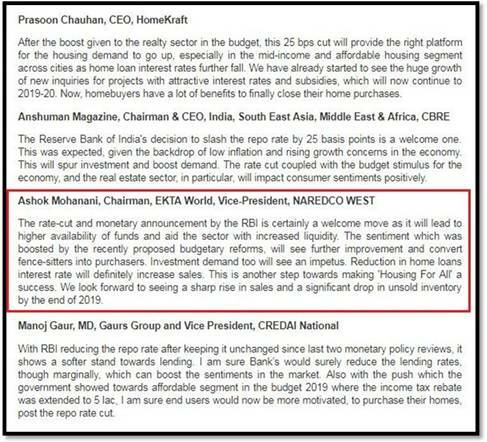 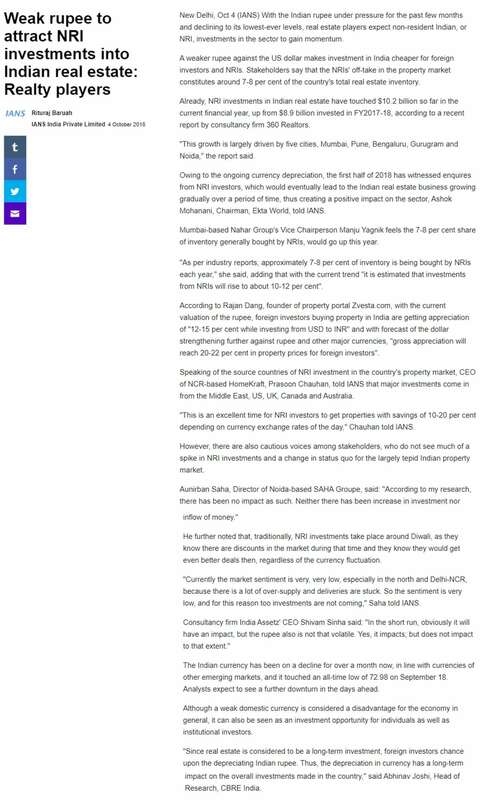 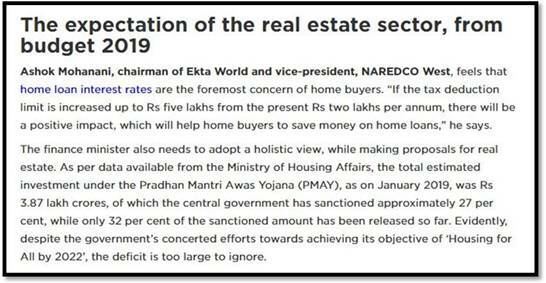 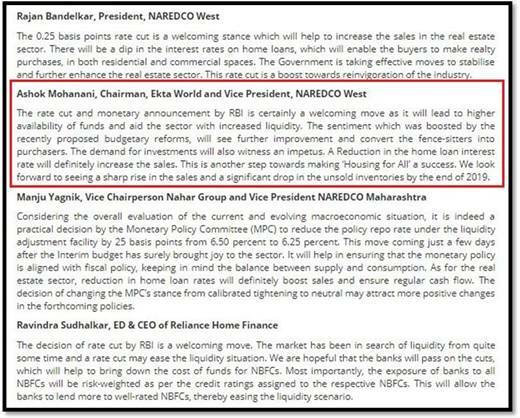 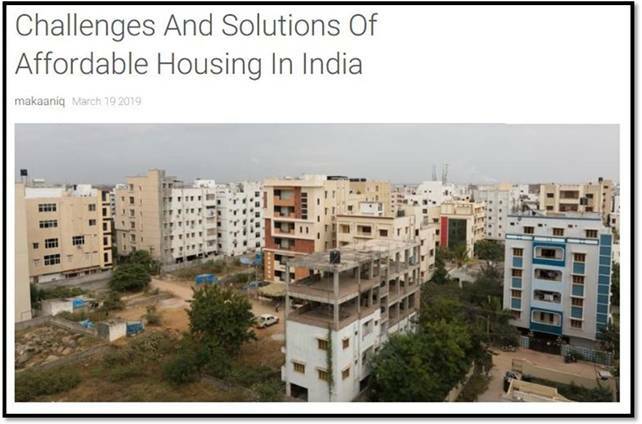 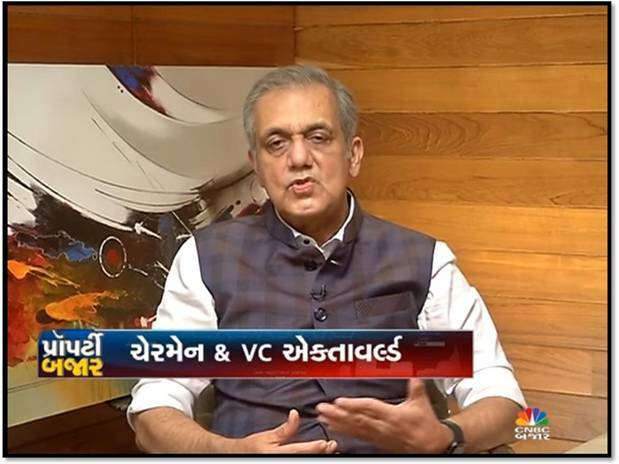 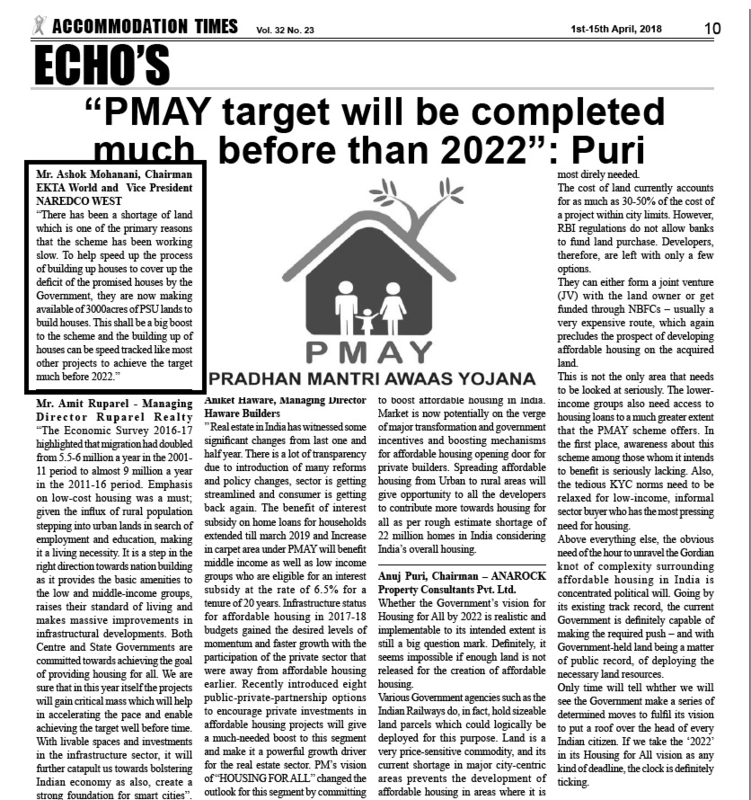 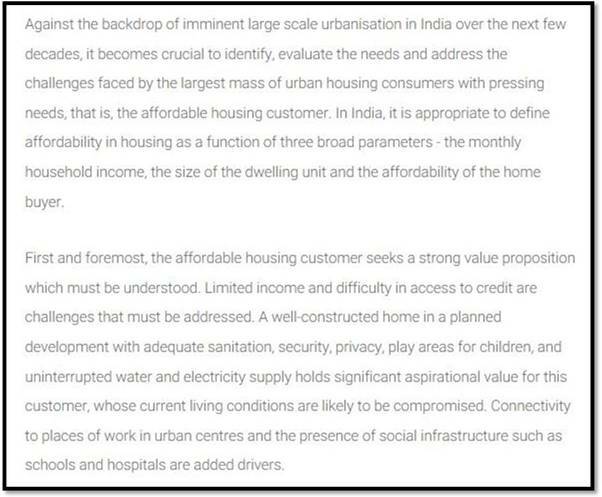 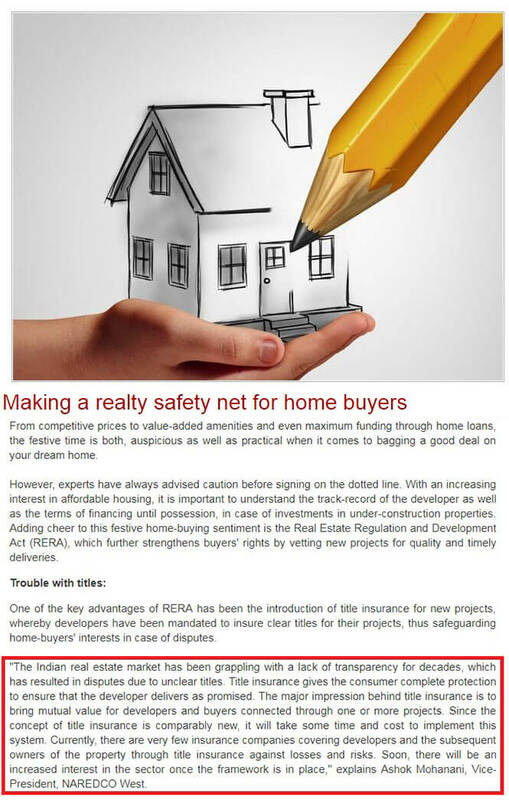 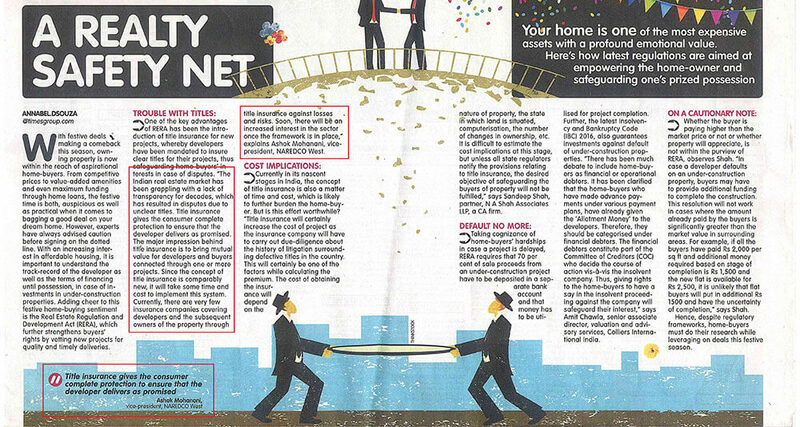 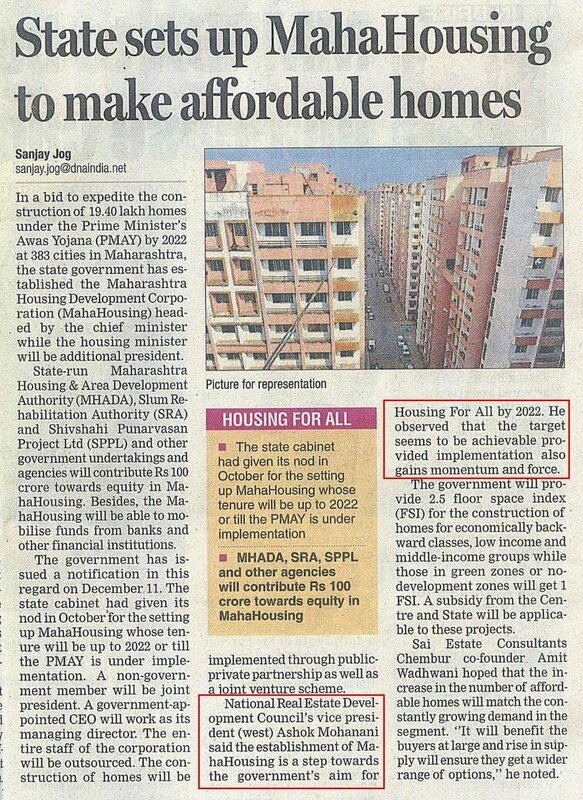 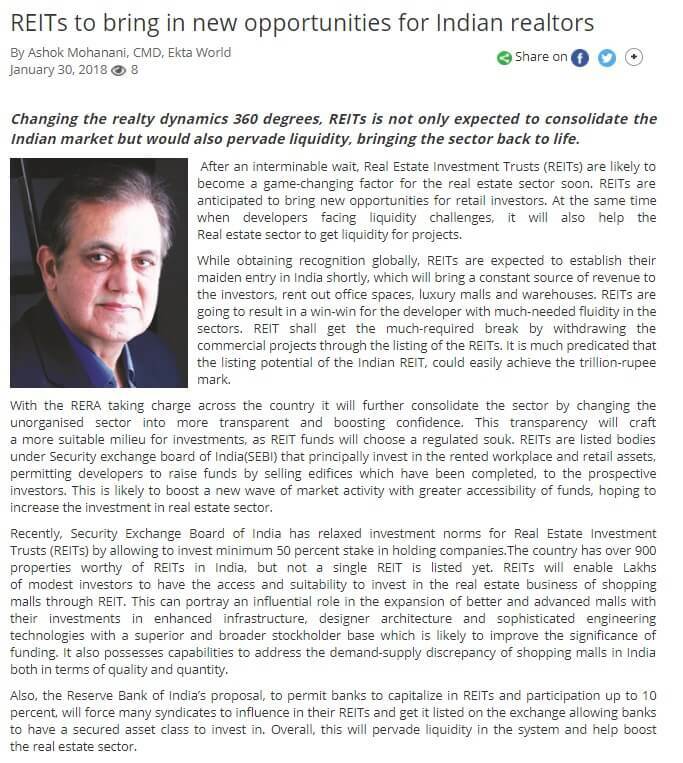 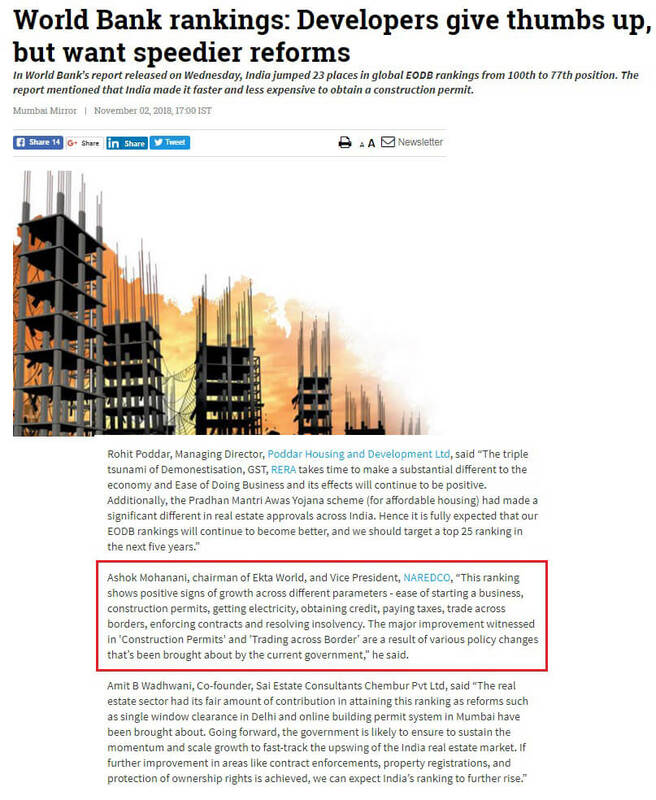 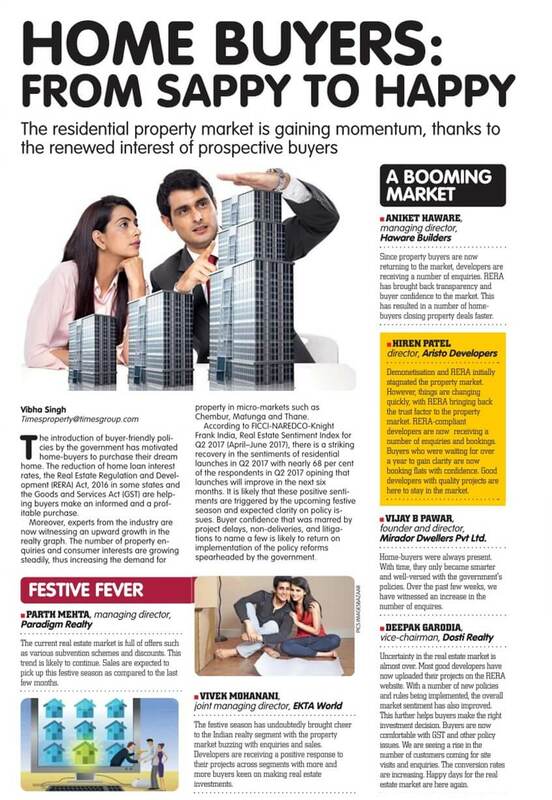 Mr.Vivek Mohanani - Managing Director and CEO - Ekta World shares an insight on what lies ahead for realty markets in the RERA era and its relevant implications for home buyers. 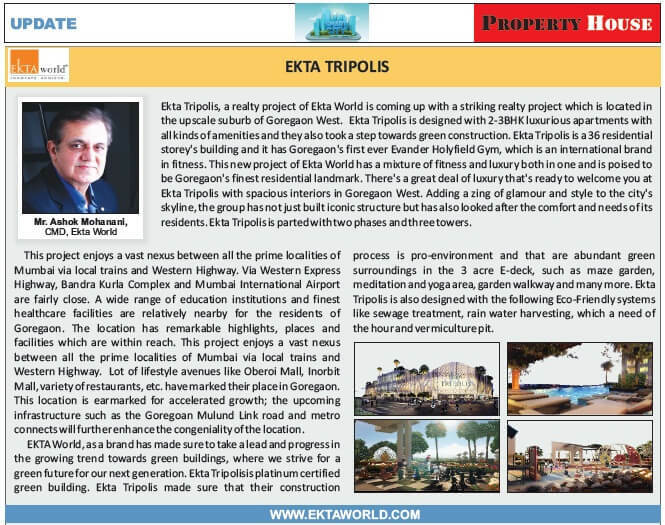 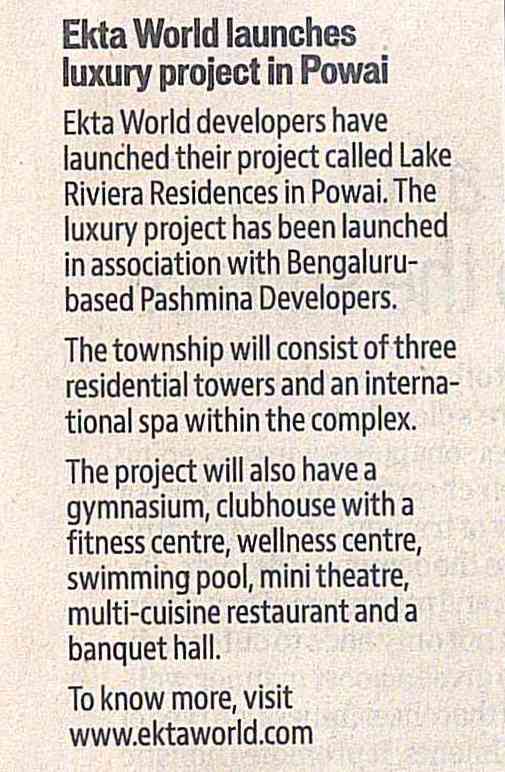 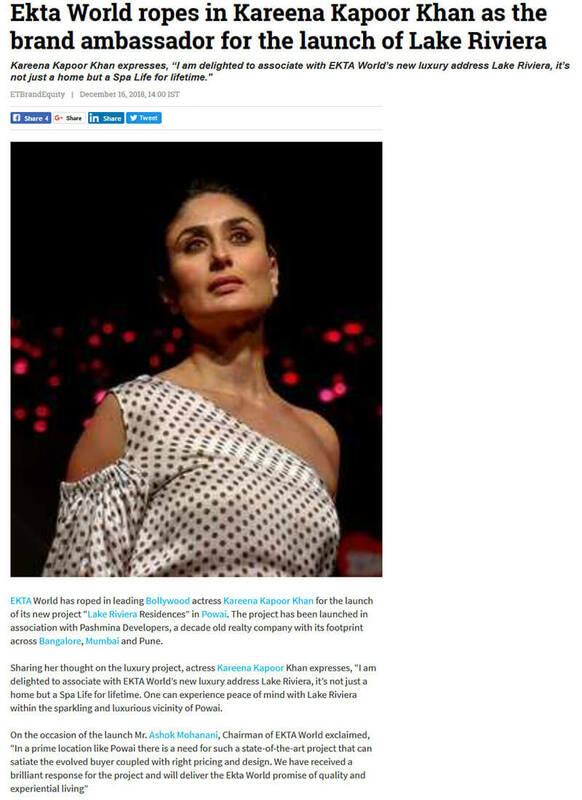 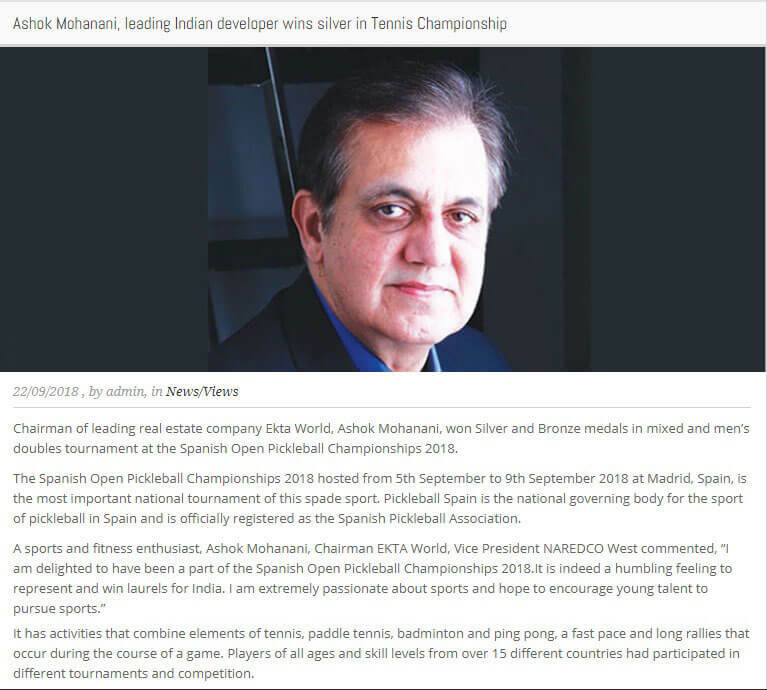 In a recent interview with Mid Day, Mr.Vivek Mohanani -JMD- Ekta World speaks on winning the Iconic luxury award for our Nashik Project- Ekta Greenville.